The heat source for young and old. Who doesn’t remember grandmother’s hot water bottle? A warm KipKep Woller on the belly of the baby will relieve the intestinal cramps. The heat is relaxing. It is also ideal for older children with abdominal pain. Ideal during the breastfeeding period. 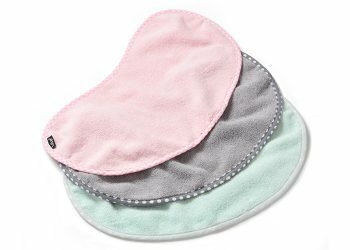 The heat relaxes and facilitates breastfeeding. If you have engorgement, use the Woller as a cold compress from the refrigerator for pain relief. Easy to warm up in the microwave. Get rid of intestinal cramps! Nothing is as unpleasant as intestinal cramps. Your child is in pain, is afraid and can’t sleep well. As a parent you can feel pretty powerless when your child feels this way. 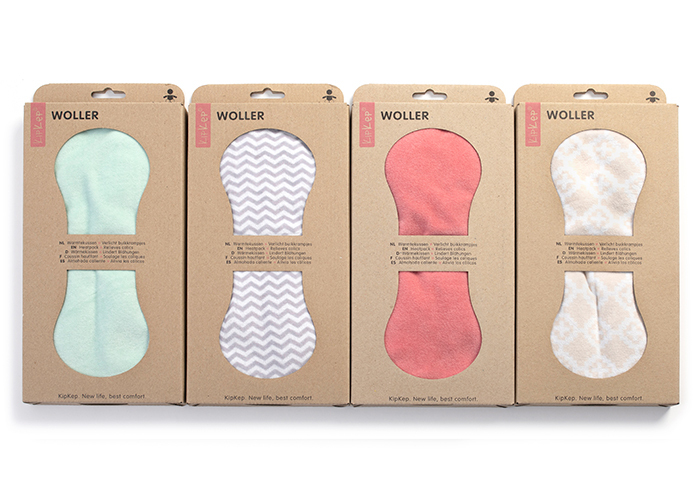 Fortunately, the Woller brings relief, because the heat relaxes the child’s tummy and reduces intestinal cramps. 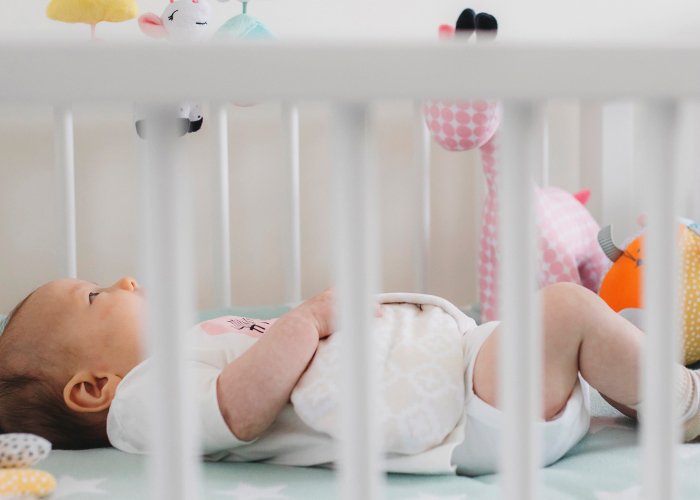 Every week, young parents send us grateful messages, that their little one is finally sleeping well again. And so do they! 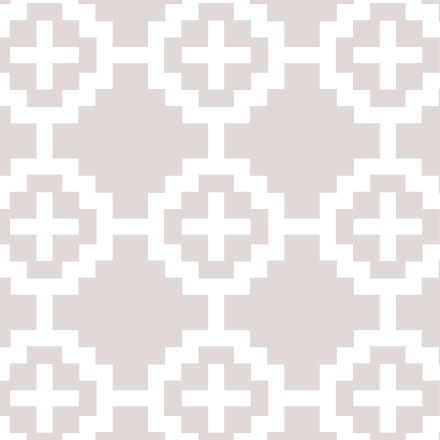 Why does the Woller work so well? The Woller is a heat pad that is filled with flax seed. 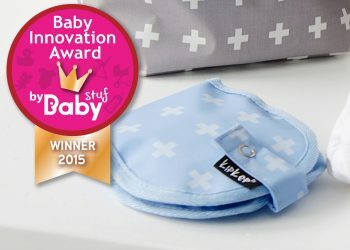 You simply heat the Woller in the microwave and place it on your baby’s belly. The heat immediately ensures relaxation and reduces cramps. The Woller is small, light and soft. We have designed the shape so that most of the filling drops to the side, so it won’t press on the baby’s tummy. 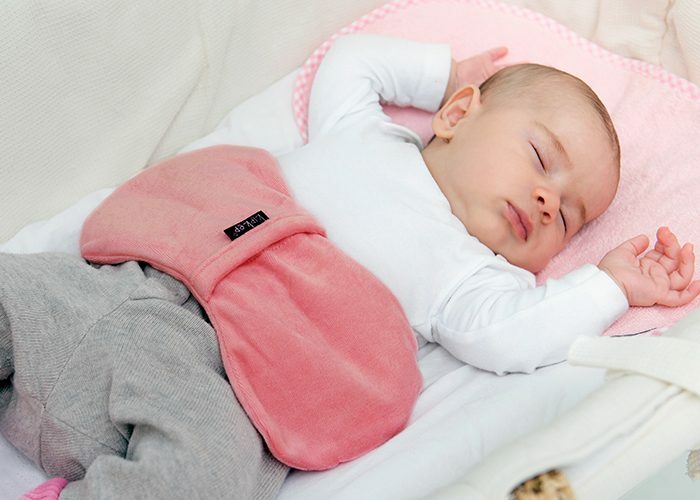 The Woller is also ideal for older children with abdominal pain. 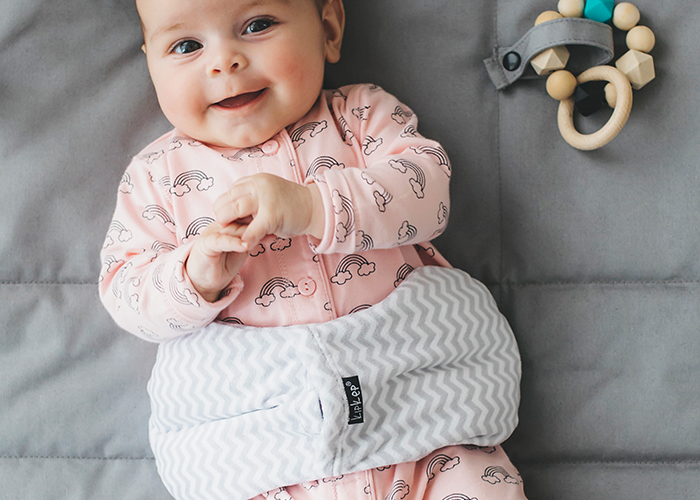 The Woller comes with a removable cover, which feels soft. If you need more covers, you can order them separately. 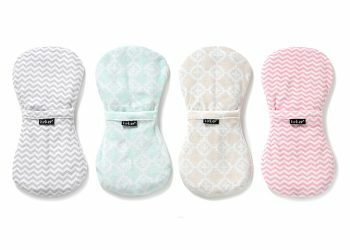 >> Heat the Woller before breastfeeding: the heat relaxes and facilitates the lactation. >> Or put the Woller in the fridge and use it as a cold compress. For example, if your child has injured itself, but you can also use the Woller for yourself as a cold compress during engorgement. 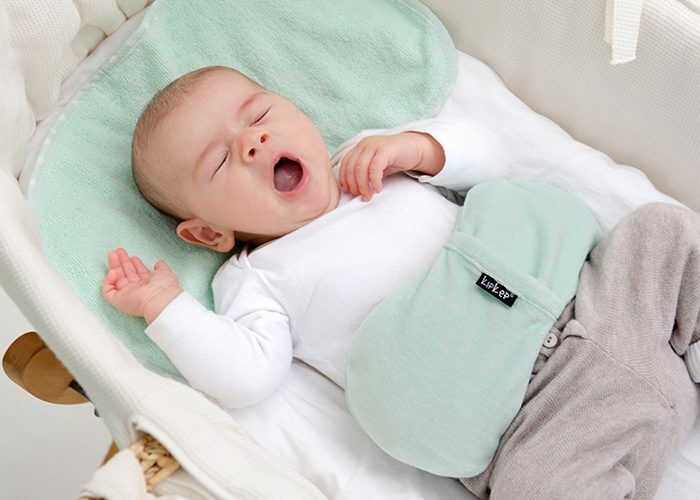 >> Use the Woller to preheat your baby’s bed or to keep the towel warm while you bathe your child. >> Also great to heat the pram, or the footmuff! Heat the Woller without cover in the microwave. Remove any type of grate from the microwave beforehand, because the Woller shouldn’t come in contact with metal during heating. 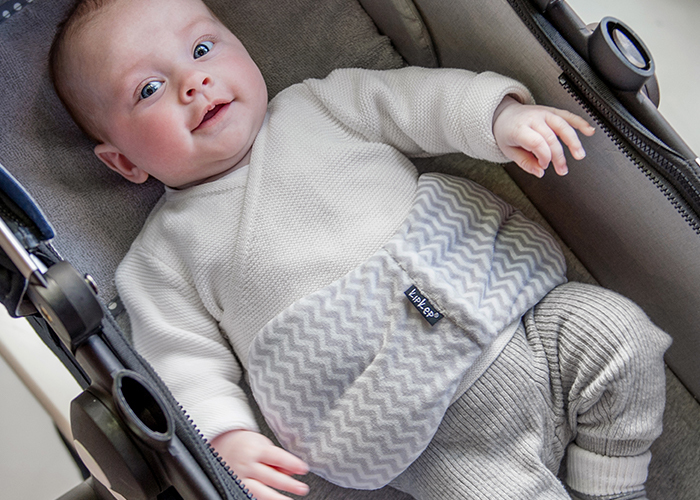 Never place the Woller directly on the bare skin of your baby. Make sure there’s always a romper or other layer of clothes in between. The Woller has been carefully designed and the flax seeds in it are completely harmless (it’s even a food product). Because you heat it in the microwave, it can never get too hot for your child’s skin. Always check the temperature on the inside of your wrist before you use it. The Woller itself can’t get wet and isn’t washable. The separate covers can of course be washed. The Woller can’t be used without a cover. De Woller is a medical device. CE-Certified, medical class I. The covers of the Woller are also available separately! Also handy to have one extra when the cover is in the laundry! Price Woller Heat pillow including 1 cover: € 19.95 a piece. Download the instruction for use.